Sound Transit hit the brakes on a proposal to have outside contractors operate four ST Express bus routes on the Highway 520 corridor, instead of sticking with King County Metro Transit union employees. 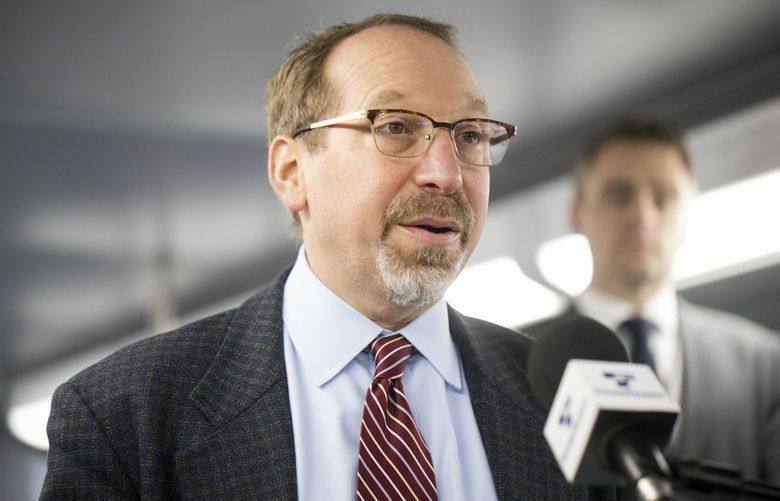 Bidders had been scheduled to file proposals April 12, but the plan offended Amalgamated Transit Union Local 587, despite assurances from Sound Transit CEO Peter Rogoff that he expected to wind up with a union workforce. Rogoff messaged transit-board members last Tuesday that bids would be postponed, and by Friday, King County Councilmember Claudia Balducci, who chairs the board’s System Expansion Committee, emailed that news to people who commented. Sound Transit sought new contractors because Metro ran out of room to park and fix vehicles, Rogoff said. Balducci called the postponement good news. “The challenge facing Sound Transit — and other local transit providers — is that we do not have enough bus base capacity to provide the level of service our public wants and that we could otherwise afford to provide. I believe we can work together to solve that issue while being true to our values,” Balducci said in a note she has been emailing to concerned citizens. Metro charges around $163 per hour to operate Sound Transit routes 540, 541, 542 and 545. Pierce Transit and Community Transit operate some of the other 24 ST Express lines at lower cost. Four national or multinational companies, one local company and Pierce Transit have expressed interest in the Highway 520 bus contract, which could total 81,000 service hours a year. So a deal might reach $13 million a year, though Sound Transit won’t conjecture about bid values in advance. The board’s Rider Experience and Operations committee will discuss the issues April 4. If the transit board gives the green light, bids will be accepted May 17. Otherwise the matter will be dropped, Rogoff told the board. Sound Transit board member Claudia Balducci chairs the transit board’s System Expansion Committee. A previous version of this story misidentified the committee.